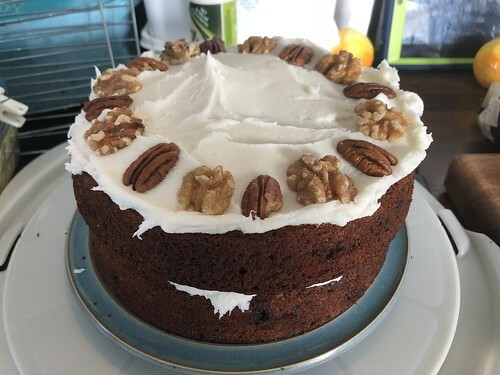 First ever attempt at a carrot cake. I love making cakes and these were the ones I made for the Golden Wedding party at the weekend. The were pretty good, even if I do say so myself. 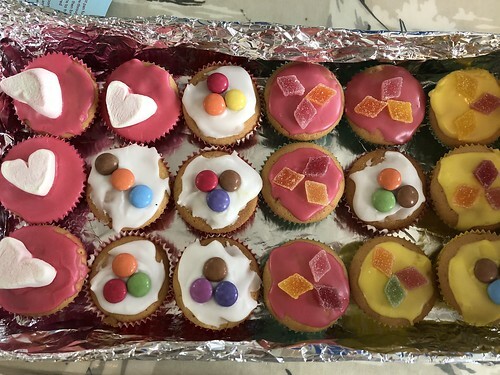 Cakes for a school PTA sale. It’s a good way of using up all the toppings in the cupboard! We had The Little Mister’s birthday party today and his request was a dinosaur birthday cake. 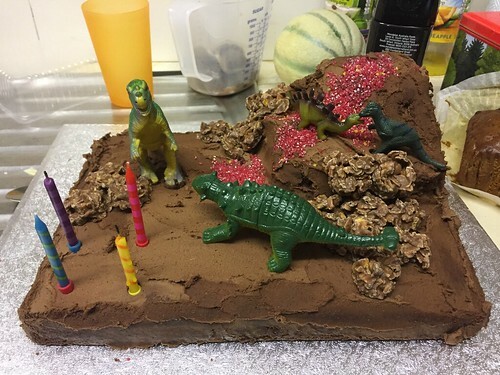 This magnificent creation was pretty simple to make; a couple of slabs of chocolate cake, carved up and stuck together with chocolate buttercream icing, a few Crunchie rocks to add some texture, a bit of glittery lava and a few plastic dinosaurs. He loved it and is tasted good. 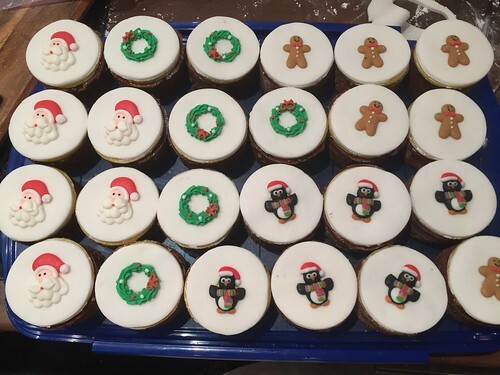 I made some fab little Christmas cakes for the sale last week. 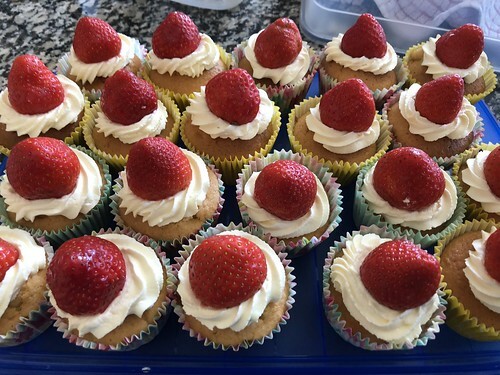 They looked really effective, tasted delicious and were great sellers! This evening I helped my sister out with organising a quiz for their charity This is Epic. 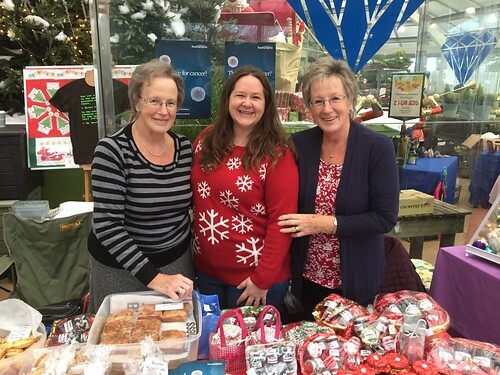 It was a fantastic evening and we raised lots of money and everyone had a good time. 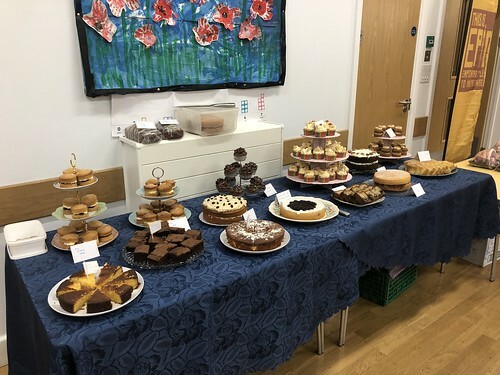 Of course I was in charge of the cake table… always trust a Le Tissier to sort out the pudding table! Well I was unceremoniously beaten by Auntie Jen, Auntie Cath and Auntie Josie in the buttermilk class. Auntie Jen won the chutney category and I only got a third for my sweet cake. 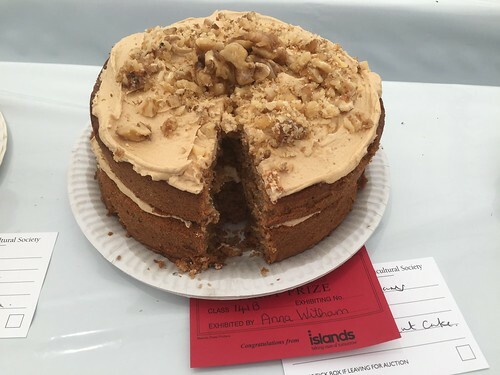 However, this delicious Coffee and Walnut cake won the class and beat my sister. Result! Guess what week it is by this photo? 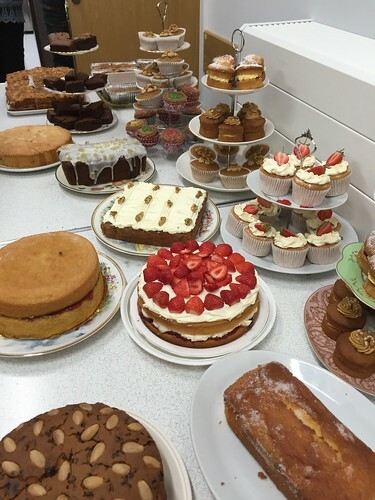 North Show week of course and I have been busy baking! 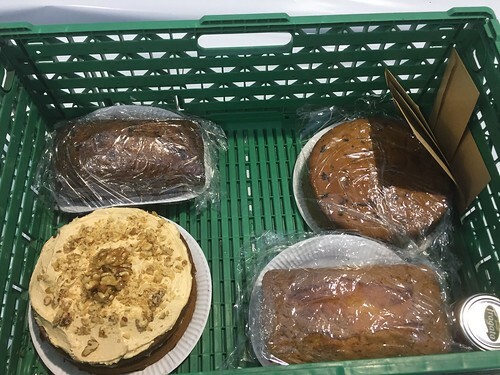 The year I am entering a Buttermilk, Sweet Cake, Tea Loaf and a Hokey Pokey Coffee and Walnut Cake. I am also entering a Spicy Tomato Chutney and secretly hope to beat The Master chutney maker, my Auntie Jen. Very unlikely though!